To help you understand how magnificent life is and how you can recognized and learned from your experiences to, grow and appreciate life because everything starts from inside out and you can change your life if you know this. MCPKINSKY offers books, positive thoughts, ideas and techniques that can help you heal yourself and heal your life. All of this concepts are based in self help, self motivational that I have learned through courses, philosophies (Eastern/Western), books of the most prominent people now a days. Monica (KINSKY),, positive, open minded, passionate for knowledge, is a transformational author, Spanish/Art Teacher, graphic and web designer, entrepreneur and mother of 2 beautiful boys. How KINSKY came to be: In 1993 the book : “La Aventura del Ser” was given to her through life experiences. it was published in Mexico City in 1993 with help of Julia de la Portilla from Ediluz. 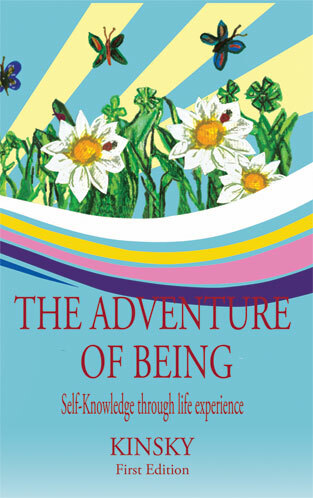 In 1997 the second edition was published and after 15 years the first edition in English” The Adventure of Being” is available..
Life is an adventure in which every moment we have to solve many things and decide whether we want to make them well or not.